Games of all kinds have become an integral part of our day-to-day activities. Whether it's that mobile game you hop on for a few minutes to complete your daily quests, to more dedicated gaming on your game console with friends, and even playing board games as a way to pass the time, basically everyone has or is playing a game at just about any minute in any day. With games and gaming all around us, it brings forth the question of why we all enjoy these games so much, and what brings us back. Gaming has tons of motivational benefits that bring us back day after day. From finding a reprise from the world around us to gaining a sense of accomplishment when we complete a task, and even as a social channel that allows us to work with our friends (or strangers) to create a sense of community and forging connections with others, there's something for everyone when it comes to gaming. Each of these benefits can trigger your brain to release endorphins and dopamine that trigger senses of euphoria and happiness, which creates a primal drive toward gaming and these benefits as a source of relief and appeal. Many of the concepts that make gaming an enjoyable experience can be applied to the everyday workings of a business with a concept called Gamification. Gamification is the application of game-design elements and game principles in non-game contexts. Simply put, creating a system that rewards and challenges employees (players) in a similar way to what video games do is what gamification is all about. Gamification is a relatively new term for a fairly common and widely used concept, with the term "Gamification" only really gaining traction in the late 2000s. The idea of applying these concepts to incentivize employees with social/reward aspects commonly found in video games caught a lot of attention from venture capitalists and was seen in over half of all presentations for consumer software application companies seeking funding. 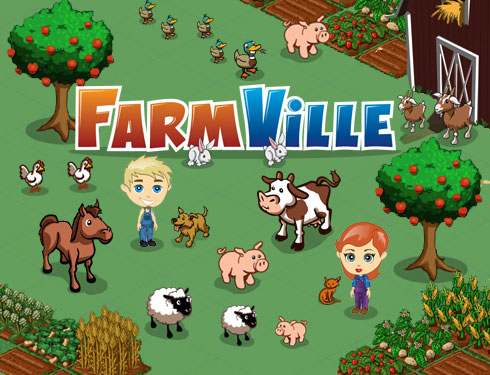 The idea of gamification really came into its own thanks to the popularity and success of social games like FarmVille—a Zynga game that attracted millions of users who interact with and help each other build virtual farms. Being compelled to reach out to others across a social network to complete these tasks, and progress your score, level, and virtual farm created a huge community, all with similar goals and further pushing the idea of gamification. With such a large community, many researchers started looking at FarmVille and it's large player base and asked the question, "What can we learn from this kind of engagement, and can we apply it to help people lead healthier lives?" 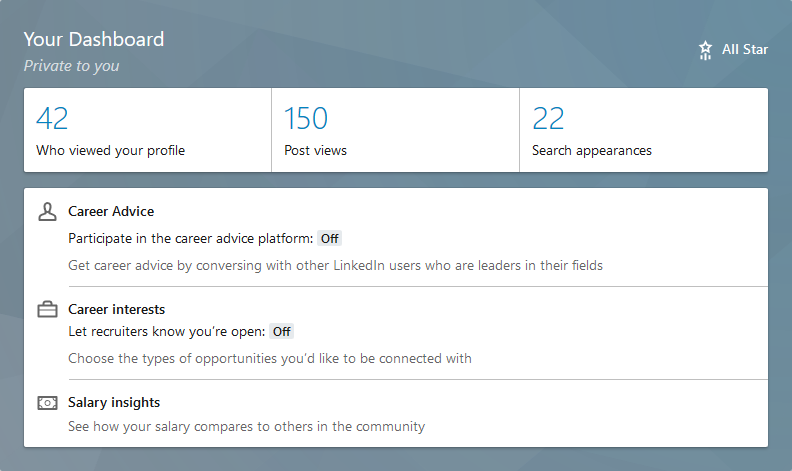 An example of a LinkedIn dashboard, notice the "All Star"
Many occurrences of gamification are so subtle you might not even know that you've been a part of it. Take the popular professional networking site LinkedIn for example. When you initially create your account and log in, you'll see a progress bar for how much of your account information you've completed. With each additional textbox you fill out, that progress bar gets a little farther along. This right here is gamification—using our innate need to complete tasks in a way that feels (and looks) rewarding. Filling out this information leads to you gaining more connections, which increase your "score," being the total number of connections you have, and causing you to feel compelled to further complete tasks, connect & network, and spend more time on this social media network. All of these small, seemingly unimportant interfaces build on the larger idea of gamification in this social network—and many of the same ideas are seen on all of the social networks. Your number of friends, followers, and/or connections all lead to the compulsion to continue visiting the network to further increase those numbers—it's all built on the idea of gamification. This idea is important: done correctly, you probably won't even notice the elements of the tasks and workflow that have been gamified. Let's look at another, less web-based gamification system. The popular service EatStreet, which allows you to order food from a selection of restaurants in your area from a convenient application on your smartphone, has a built-in gamification system. Each time you successfully order food, you get a gold star. After a certain amount of stars, you earn a $3 off coupon for another order through EatStreet. I'm willing to bet that those of you who use this app regularly never thought about this coupon-earning system as gamification, but that's exactly what it is. 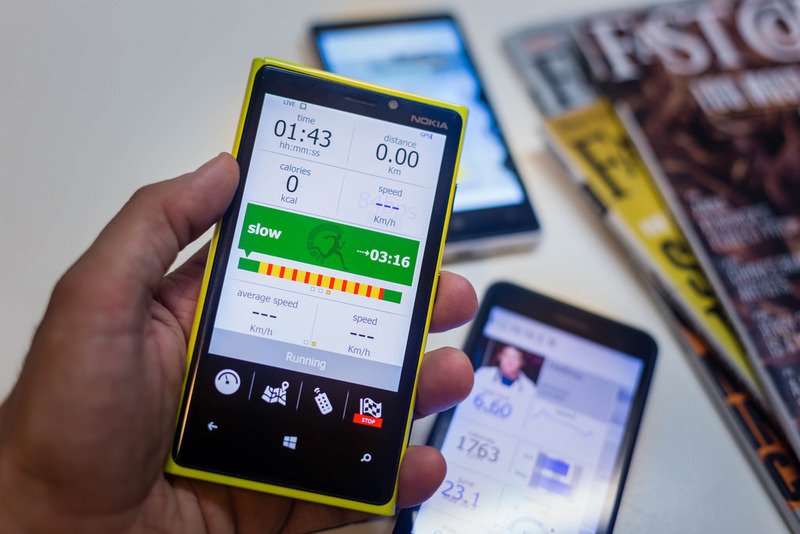 One of the largest industries using gamification every day is the fitness industry. Just about every fitness app today has elements of gamification, from a progress bar for your workouts to keeping track of your workouts, so you can see improvement and drive yourself to reach that goal you've set. Even on the extreme side of this with an application like Pokemon: Go, taking the idea of going outside, walking around, and being social with friends, and turning it into an adventure where you can catch virtual creatures, battle bosses with friends, and even hatch new creatures from eggs simply by walking with them. So, how do you apply gamification to your business to entice your employees to produce better quality, more efficient work? First, we need to remember the idea that gamification works best when it's subtle. The more obvious and noticeable the gamification, the more it can seem like an uncanny way to manipulate your employees into doing work and can lead to other complications in the workplace. Some concepts to focus on for gamification include objectivity and fairness, transparent measurement of performance, and driving behavior. Objectivity and fairness are important not only in gamification but in business in general. These ideas bring a positive process that reflects on employees and their managers for how they are progressing and which goals are being met. The gamification for this can be as simple as having employees and managers come up with a checklist of goals to accomplish with timelines (we recommend setting S.M.A.R.T. 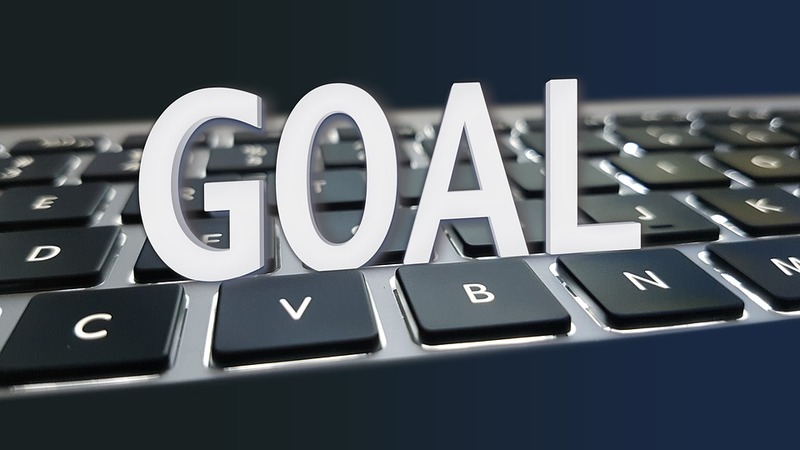 Goals), and rewarding employees when these goals are completed. Incentivizing completing goals in a timely manner could be an additional step for this type of gamification, as it would push employees to better their position and get their work done better and faster for that additional reward. Transparency in performance measurement has proven to be another important concept in the workplace and in the gamification of it. Many successful companies use Objectives and Key Results (OKRs) to explain goals and objectives to employees. These results are tracked in a public fashion—you can see the OKRs of the other employees you work with. These OKRs allow for a degree of transparency that shows each employee how others are performing and where they are focusing their time and effort. Applying this to the workspace is much like GPA in schools—it ranks and files the employees in a way that is marginally competitive, while still allowing employees to see each others' processes and adapt to perform better. Driving behavior is the concept that is arguably the most important, in business and in gamification. Take a sales position for example: the objective of sales is, well, to sell things. Many companies incentivize the sale of the product or service, which can lead to steep competition between employees and the possibility of negative interactions between them (stealing clients, giving misinformation, etc.). In order to generate better sales, the incentive should be on behaviors that drive sales including more calls, qualifying leads, and meeting with potential/current clients. 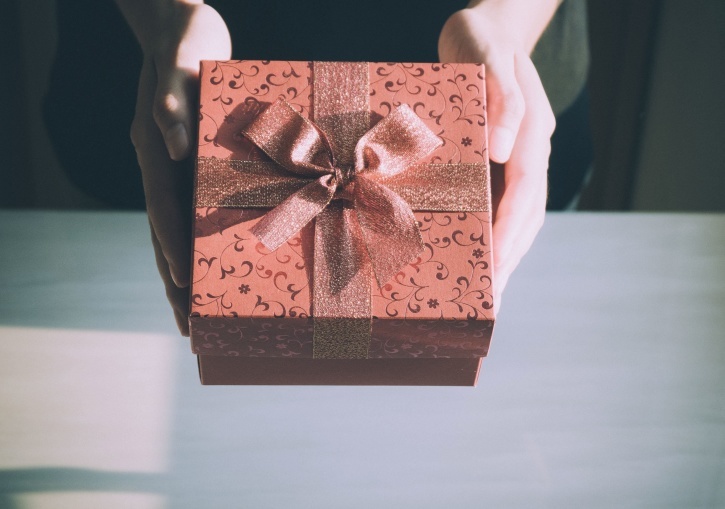 When you incentivize the desired behavior, rather than the desired outcome, it drives employees to produce more quality work and can create better and more plentiful sales. The goal of gamification might seem like turning everything into a game, but that's simply not true. It's not about turning work into a game, but rather taking concepts of game design that keep players coming back for more and applying them to the structure of a business, driving employees to feel similar to when they play video games. Isn't that the dream, after all? To have your employees look at work the same way they might at the games on their phone, or the solitaire application they have minimized behind the work they're supposed to be doing. Applying these concepts correctly can drive work to be completed more efficiently, to a higher quality, and more confidently all while incentivizing your employees to continue doing work, to seek those physical rewards, and those we produce naturally in dopamine and endorphin releases. 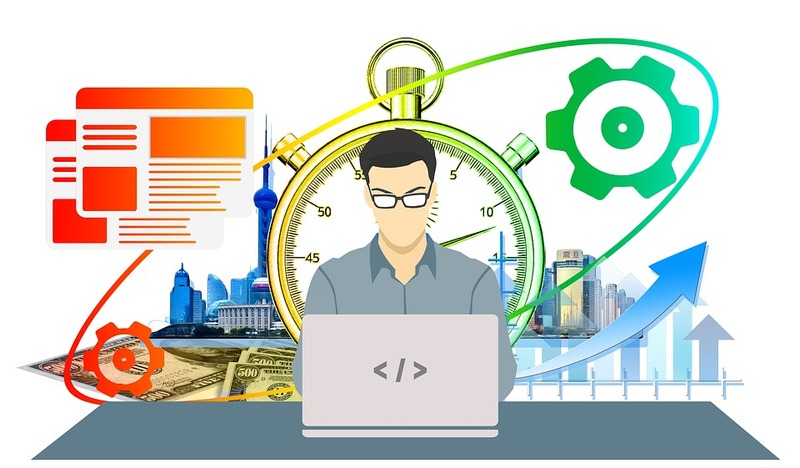 Gamification, when implemented properly, can lead to a fundamental shift in the workforce, and a huge increase in productivity from employees and management alike. It can trigger real, powerful human emotions and cause employees to strive to take that next step, earn that next star, and further their position. It generates positive user experiences, which increases engagement and loyalty. Keeping objectivity and transparency in mind, it allows employees to recenter themselves and focus on what is important for them, and for the company. With a behavior focus, gamification can drive even the most monotonous tasks to being rewarding, and incentivizes these tasks to be completed. Having a system in place for gamification is mutually beneficial to businesses and their employees, and can move almost any business to the next step. Is gamification something you're interested in setting up for your business? Let us here at Armor Techs know, and we can help set a plan in motion to gamify your business and its practices, and you'll start seeing results from your employees and the numbers they produce!